Mushok-dana or Musk-mallow (abelmoschus moschatus, family: malvaceae) is a perennial erect herb or undershrub attaining a height of 3 m. Stem is cylindrical and reddish. Young shoots, pedicel and petiole are retrorsely (opposite direction) hairy. The plant almost looks similar to popular vegetable Okra (abelmoschus esculentus). It is found near the water bodies, fallow lands, roadside areas and forest edges in Bangladesh. It is also found in India as well as Southeast Asia. The another Bangla name of the plant is Kala-kosturi. Lower leaves are angular, upper palmately lobed, dark green, oblong-lanceolate, ovate, 20-24 cm long, serrate or dented, hairy on both sides. Leaf-base has a crown-like portion. Petiole is very long. Shorpogondha or Sarpagandha (rauvolfia serpentina, family: apocynaceae) is a herbaceous shrub with milky juice. The perennial can grow up to 2 m. It is usually found in moist and shady places near the forests of the South and Southeast Asia. It is one of the most popular medicinal plants of Indian subcontinent. In Bangladesh, no herbal garden can be imagined without this plant. Common names: Choto chador, Shorpadoni, Shorpokkhi & Black snakeroot (English). Leaves are borne in whorls of 3, elliptic-lanceolate, 10-15 cm long, 2-3 cm wide, acuminate, glossy green upside, pale beneath. Flowers are terminal, white, reddish at the bottom, corolla tube long, slender, sepals 5, petals 5. Peduncle and sepals are reddish. Fruit is a drupe, round, .5-1 cm in diameter, blackish when mature. Three different colors of fruits (green, red & black) are seen together in a plant. Chalumugra or Dalmugri (hydnocarpus kurzii, family: flacourtiaceae) is a small to medium-sized tree having brownish hair in young parts. The tree can be up to 15 meters tall. Bark is almost brown. Wood is very hard. It is mostly found in the hilly areas of greater Chottogram and greater Sylhet forests. The tree is also found in South and South Asia. Leaves are simple, green in color, oblong-lanceolate, 15-25 cm long 4-10 cm wide, apex acute, alternate, petioled, entire or undulate edge. Flowers are pale yellow, single or clustered, pretty fragrant.. Flower blooms in the spring. Fruit is ball-shaped, uneven, grey, hard, fleshy, 5-10 cm in diametre. Seeds 2-3, 2-2.5 cm long. The propagation of the plant is caused by seeds. The evergreen tree with beautiful drooping branches can be planted as an avenue tree. Bajna or Cape yellowwood (zanthoxylum rhetsa, family: rutaceae) is a medium-sized or large deciduous tree with numerous branches. It can get a height of 10-13 m. The whole trunk and old branches are covered with strong prickles. The bark is thick and yellow. Other names: Bajinali, Kata-horina, Tambul. Despite being thorny, it is quite a beautiful tree and can be planted as an ornamental plant beside roads and in parks and gardens. In Bangladesh it is found in hilly areas Shal forests. 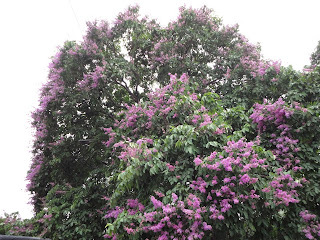 The tree is also found in the countries of South and Southeast Asia. Flowers are very small, pale yellow, borne at the tip of the branch. Flowering occurs in the summer. Fruits are small, almost round, blackish when ripe. Each fruit has only one seed, which is black and bright. The propagation of the plant is caused by seeds.